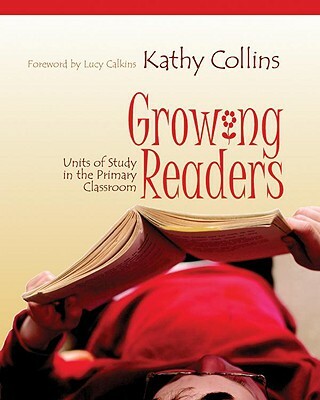 Here's a bit about how it looked in our classrooms, as adapted from Kathy Collins' book Growing Readers. We read There Was an Old Lady Who Swallowed Some Books and talk about good and bad ways to handle books in the classroom. Next, our kiddos have free time reading books from the classroom library and practice putting books back into their correct bin. Next, we read Reading Makes You Feel Good and The Best Book to Read! We LOVE these books to encourage our kiddos to talk about liking books and reading. We also take a look at many different materials readers read. We show examples like newspapers, menus, and brochures. After thinking about how readers read more than just books, the kiddos take time to read some magazines from the classroom library. 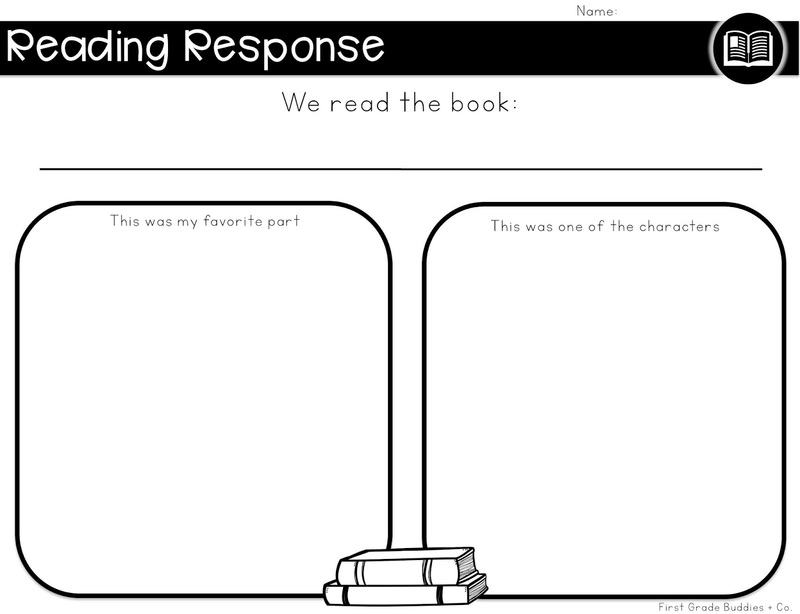 We love this silly story to introduce how readers need to protect their reading time. As a class, we discussed actions that would disrupt our reading time. Then we model together the negative things like talking, walking around, and wandering eyes. After showing each negative action, we practice together the positive action. 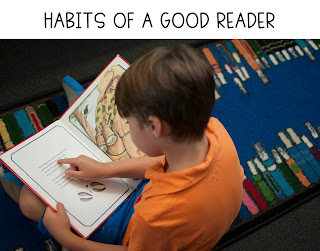 For this habit, we have the kiddos bring in their favorite book to share with the class. Tamra and I love Olivia, so we share it with the class. All kiddos share the name of their book and one reason why they like it/brought it in. Together, we notice what kinds of books each other liked, find similarities and differences, and take some time for the kiddos to share their book with a partner. We're in a big circle, going around and sharing about our books! In this set up, all of our kiddos can see each others books and make comparisons! Partners share their favorite books with each other! We wrapped up our week of mini lessons with a book and graphic organizer. 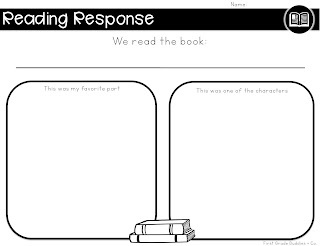 Before we start reading, we chat about how readers think about the story as they hear it or read it. We encourage them to practice this as we read. After we finish reading, we have the kiddos fill in the organizer below. Grab the graphic organizer and more in the FREE download! I found you thorugh Oh' Boy 4th Grade's Currently link up. You all have an adorable blog! What a treasure to instill good reading habits in little ones...It definitely helps us with the kids that are a little bit older! Thank you, Jessica for stopping by and for the sweet comments. Have a super week! This is a wonderful post! 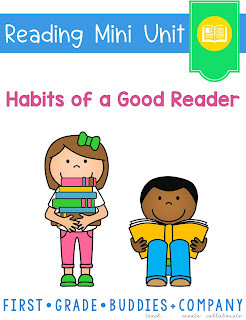 Thanks for sharing your class' Habits of a Good Reader. The Judith Viorst book looks like one I need to pick up--Growing Readers as well. Thanks for the freebie, too! Yes, you'd love both of these. The Debbie Miller book is WONDERFUL. It works well instruction wise with Daily 5. I'm glad you're loving your students this year...I'm really excited about my class too! And I love Growing Readers! It's such a great framework. Happy Labor Day! Super! Glad to hear that you also like Growing Readers! Have a nice week with your students! LOVE the funny..."My dad wants one. My mom says no." LOL. Love your ideas for teaching Habits of a Good Reader! I do similar lessons, but am going to add some of yours this year. Thanks for sharing! Sounds great! It's always fun to teach good reading habits! Thanks for stopping by! Great mentor texts for reading! I'll be pinning this for later reference. Thanks!! 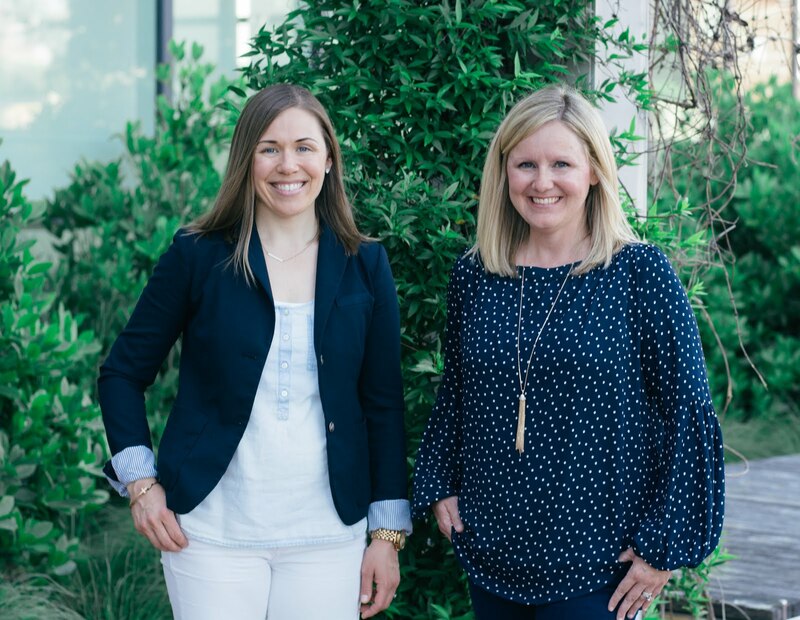 So much great information in this post-- I'll be sharing some similar ideas later this week too! Teaching reading is just so great!! Thank you, Aylin! We will look out for it! Have a nice day tomorrow back to work.